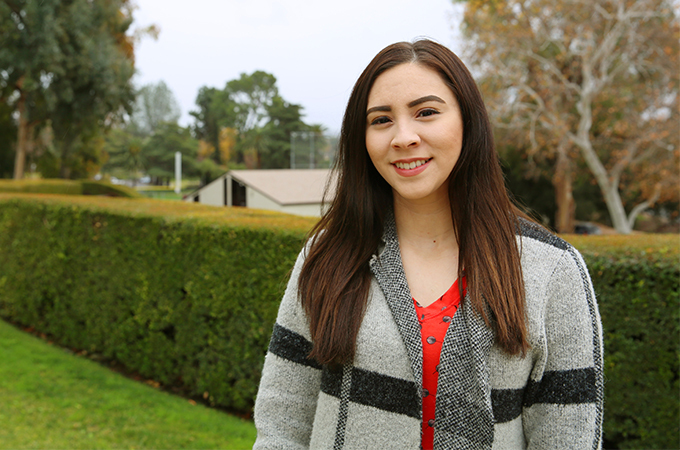 When Zuliana Perez ’19 graduates from the University of Redlands School of Education this spring, she hopes to create a welcoming and comfortable environment for her students—much like she found in her graduate program. As a student in U of R’s Master of Arts in Learning and Teaching program, Perez enjoyed classes with small numbers of students, which allowed professors to offer individualized help and support. Another highlight of the program, she says, was her student teaching experience. After completing her required coursework, Perez was assigned to assist Cortney Maier, a fifth-grade teacher at Cypress Elementary in the Fontana Unified School District. For three months, Perez got to know and interact with students through daily lessons and the practice of restorative circles—a method that Maier uses regularly in her classroom. An increasingly popular classroom technique for educators, these circles are used to address challenges and build students’ emotional intelligence. During the activity, the teacher asks students a question such as What is something that makes you nervous? or How do you deal with conflict? These questions are then followed by more lighthearted inquiries from the teacher, such as What is your favorite pizza topping? The ultimate goal of restorative circles is to make the classroom environment more comfortable for all students, including those whose backgrounds include different cultures, family structures, home lives, and experiences. The circles can be tied back to classroom curriculum through group projects, and teachers can easily introduce questions that prompt students to reflect on their projects and teamwork. Currently, Perez is working as a substitute teacher in the Fontana and Rialto school districts and hopes to secure a fulltime teaching job upon graduation. She looks forward to using restorative circles in her future classrooms. “These circles encourage students to learn about each other and themselves, which ultimately helps everyone,” says Perez. Learn more about the University of Redlands School of Education MALT program.